You buy the official key that you receive immediately after the release of the game to your E-Mail specified at the time of purchase. Each buyer who made a pre-order will receive a guaranteed gift (On the day of release!) What? One of more than 40 different games for Steam. You will learn about this when you receive your GIFT by mail. 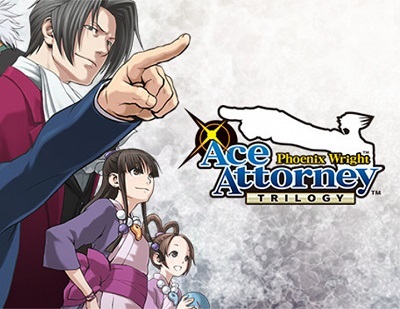 After payment, you will receive a link to your email address that will be available for viewing and downloading the official Phoenix Wright: Ace Attorney Trilogy game activation key on Game Release Day on April 9, 2019 at 00-01 Moscow time. The release date is preliminary and may change. The scene of this classic adventure series takes place in a meeting room. Already more than 6.7 million copies sold worldwide, and now this game can appear and you. Experience the thrill of protecting customers in the meeting room. Participate in exciting affairs, reveal the secrets behind each of them, and get to the truth with your own hands!